During the period under review the HSRP refined its capacity building and support to the historic schools. A strong theme and significant outcome was the value of networking for the schools with the public and private sector. These networks clearly enable the schools to access important resources to advance development. We have worked with eighteen pilot schools in seven provinces of South Africa. This annual event forms part of the professional development agenda and brings together principals and deputy principals of the historic schools where they are able to connect and support each other. Besides the academic focus the participants have an opportunity to share their challenges and best practices. The conference was held in August 2013 at Lakeview Centre in Bonaero Park, Johannesburg and was attended by 28 HSRP principals and deputies. Special presentations were made by Carl Herman of the University of Cape Town and Innocent Muyanga of Columba Leadership. New schools: '5 best things about our schools and 3 problem areas'. To enhance peer learning by sharing best practices from each school. 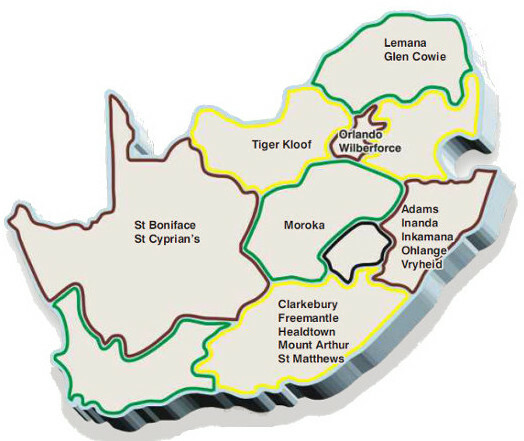 The Eastern Cape Provincial Government is particularly supportive of the HSRP. This has resulted in a collaborative exercise and the development of a process entitled The Historic Schools Eastern Cape Chapter. The aim is to integrate our objectives into the policy framework of the Eastern Cape Provincial Government thereby benefitting the 24 historic schools situated in the province by fast-tracking improvement plans and interventions. The official launch of this pilot is scheduled to take place in Heritage Month 2014. 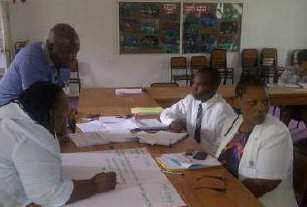 An improvement strategy workshop was held for Ohlange High School from 21 – 22 February 2014. The aim of the workshop was to assist the school management team with the tools, methodology and strategy to develop a School Improvement Plan. The outcomes were spelt out at the start of the workshop: 1) Participants would have an in-depth knowledge of what informs a credible School Improvement Plan (SIP) and, 2) Participants would be competent to populate or produce their own SIP document. The 50% completed template was further developed by the full staff complement so as to get their buy-in and ownership of the improvement strategy and be part of the change they wish for the school. Impromptu workshops were also held at schools on visits by the Education Officer. These entailed how a subject improvement plan is developed, as a precursor to future workshops to be held on the School Improvement Plan. The School Management Teams participated in these workshops. Subject performance analysis was used as a source to determine targets which could be realistically set by each teacher. Each HOD was asked to get composite targets per subject and Action Plans to achieve the targets. This values-based leadership training is an effective leadership development strategy for the learners. It builds character and esprit de corps among them. 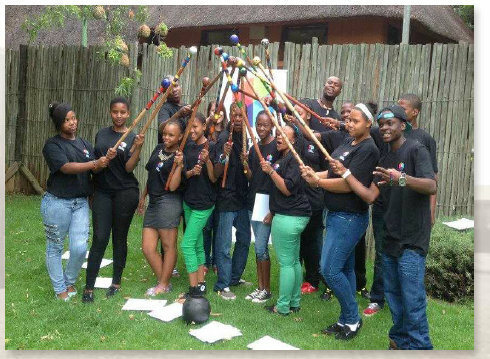 Healdtown Comprehensive participated in the programme at Kamma Game Reserve in the Eastern Cape, and Inkamana and Ohlange enjoyed their programmes at the historic Rorke's Drift in KwaZulu-Natal. The programme insists on the participation of the school principal and at least one teacher with twelve Grade 11 learners. Columba facilitators begin the process with pre-course sessions at the school and postcourse sessions and evaluations. HSRP staff attended four of the post-course sessions held with the school groups and all participants including the principal and teachers acknowledged that the academy was a profound life-changing experience. Follow-up monitoring and evaluation is continued for two years after the residential programme. Tiger Kloof participated in the Columba programme in January 2014. The Education Officer joined the 10 day Programme the day before the graduation and observed evidence that relationships had been built and moulded. If learners are supported by the teachers who attend, and the environment is conducive to change, it is a good model that can be used by the youth to improve their environments. With renewed public interest and donations received in 2013 the Trust granted scholarships to the value of R312,130 to 13 worthy students who are currently enrolled at 8 of the historically significant schools. "Although my family is not well educated, they believe education enlightens and opens many doors to success. That's why they are making sure everything that is done right now for my siblings and me is for the best and will lead to a greater future." "My inspiration comes from my older brother. He has faced many challenges due to his disability but has never given up on his dreams. He once said, "Fill your mind with positive thoughts, protect it from negative thoughts because thoughts become who you are." These words have driven me to become a planner of my own life because life is indeed the biggest event of all." "I would like to thank the Chairperson and Trustees of the ZK Matthews Educational Trust for the scholarship awarded to me and my family highly appreciates the support." "My mother is unemployed, my grandmother is a domestic worker. I love going to my school and I take my school work seriously. I'm determined to finish school and go on to tertiary education." "Your support on my education has been a huge relief on my single parenting mother of three. Now I have a bright future."